The 2010–11 Aviva Premiership was the 24th season of the top flight of the English domestic rugby union competitions and the first to be sponsored by Aviva. It began on 3 September 2010 with Sale Sharks hosting Newcastle Falcons, and the home-and-away season continued through 7 May 2011. Semi-finals were contested on the weekend of 14–15 May, and the final was held at Twickenham in London on 28 May. This year's competition saw the Leicester Tigers attempt to defend their premiership title, after defeating Saracens in the final of last season's play-offs. The same two teams met again in the 2011 final and this time around it was Saracens who managed to win premiership glory, the first time the club did so. Exeter Chiefs were the newcomers for this season, after having earned promotion by winning the 2009–10 RFU Championship play-offs. Exeter finished eighth, easily avoiding relegation. Leeds Carnegie suffered the drop, which was confirmed once Worcester Warriors, which had already met the RFU's requirements for promotion, won this season's edition of the Championship. The second day of the competition hosted the seventh edition of the London Double Header, which drew a record crowd of 75,112 for this specific event. 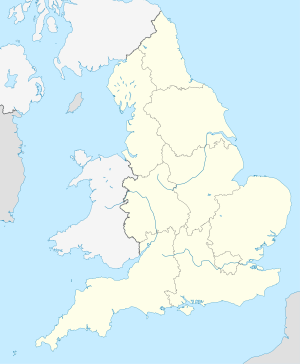 The inaugural edition of the Premiership Rugby Sevens Series began on 16 July 2010 at The Stoop, continued on 23 July at Welford Road and 30 July at Franklin's Gardens. This was the first opportunity of the season for any of the teams competing in the Premiership to win a trophy. The finals were held on 6 August 2010 at The Recreation Ground and the Series was won by Saracens. The fixture list was released on 29 June 2010. ^ "Fixtures - J.P. Morgan Asset Management Premiership Rugby 7s - Previous Seasons". Premiership Rugby. Archived from the original on 4 March 2016. Retrieved 4 August 2013. ^ "Tries". itsrugby.co.uk. Retrieved 5 June 2011. ^ "Points". itsrugby.co.uk. Retrieved 5 June 2011. This page was last edited on 10 September 2018, at 00:05 (UTC).